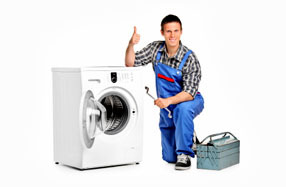 Trust TorontoRefrigeration for guaranteed washer repair in Toronto. Nobody wants to have to deal with a washing machine breakdown on their own. Being able to do your laundry quickly, efficiently, and without hauling a bag of dirty clothes down to the corner Laundromat is one of the things that keeps your home running smoothly, and at Toronto Refrigeration we understand that. When your machine needs some expert TLC, call our experts and let us help take care of the problem. From small malfunctions to parts repairs and total overhauls, we’re prepared to help you get your washer up to speed no matter what you’re looking for. We provide the best and most reliable washer repair in Toronto. Our services are speedy and efficient, and since our first priority is always to help you get the most out of your machine, we do everything to keep our prices affordable – not to mention that the price we quote is the price we charge, every time! Our licensed technicians are trained to identify the problem with your washing machine and provide you with a detailed quote that includes high-quality parts and unparalleled technical professionals. Our goal is to get your laundry room back into operation quickly, and our company is the quickest response team when it comes to washer repair in Toronto. When it comes to the brands we’re prepared to help with, our list is a long one – we’ve rarely ever met a washer we couldn’t fix. Our technicians are highly qualified and ready to help with any major model you might need repaired, no matter where you’re located. Toronto washer repair has never been this efficient! From leaking tubes to faulty motors, we have all parts necessary to repair your washing machine in a quick and efficient manner so you can get back to your life. Call Toronto Refrigeration today and get your washing machine back in shape.